We select our staff, looking for the perfect blend of talent and training to give 297 customers the very best personal care experience possible.  From estheticians to stylists, therapists to colorists, our team makes it possible for 297 to deliver flawless relaxation, rejuvenation, and personal style. If you are interested in joining our team please send a resume to info@salon297.com. Want to be first to hear about our great Salon & Spa offers? Copyright © 2019 297. All Rights Reserved.